Home » Is Pet Insurance Worth the Cost? Ask Sonya if she feels pet insurance is worth it and she will wholeheartedly tell you, “Yes!” Then ask her if she will get it for her next dog, since she did not have a policy on her last dog, and you will hear, “Yes!” again. Last year, Sonya lost her dog Millie to a terrible and sudden illness, the cause of which was never fully identified. After spending $10,000 out-of-pocket, the veterinarians said there was nothing left to do and nothing left to try, and they had to make the horrible decision to let Millie go. In Sonya’s situation, a pet insurance policy could have covered all of the procedures at up to 90% of the bill. For a pet that had no pre-existing conditions, this sudden illness would fall right into coverage for most pet insurance policies. For Sonya, she won’t go without pet insurance again. Veterinary care is advancing at a faster rate than people can afford to pay for it. Most people surveyed state they would pay ‘anything’ or do ‘whatever it takes’ to save their pet. One treatment can cost upwards of $5000 – do you have that to spend on your pet? “Economic euthanasia” – a real THING, sometimes practiced because owners cannot deal with a pet’s issues, but in a lot of cases, because the owner simply cannot afford to continue with treatment. So, had Sonya put this plan in place while Millie was a puppy, she would have spend less than $5000 in ten years on premiums, adding in a $300 deductible, and the $1,000 she would have had to spend on the bill, her total would have been $6300, spread out over ten years, instead of $10,000 in one week, ultimately ending in the loss of her beloved Millie. Again, Sonya would have paid roughly $4400 in premiums over ten years, plus the $1000 of her portion of the bill, plus $500 deductible, still coming in at $5900, less than the $10,000 of her bill. We did these quotes at the maximum reimbursement level, with low deductibles. You can play around with your own quote and find that the monthly premium can go way down and your savings over the course of your pet’s life will be significant. If you are one of the lucky few that never has to deal with health issues with a pet, then you are indeed, lucky. 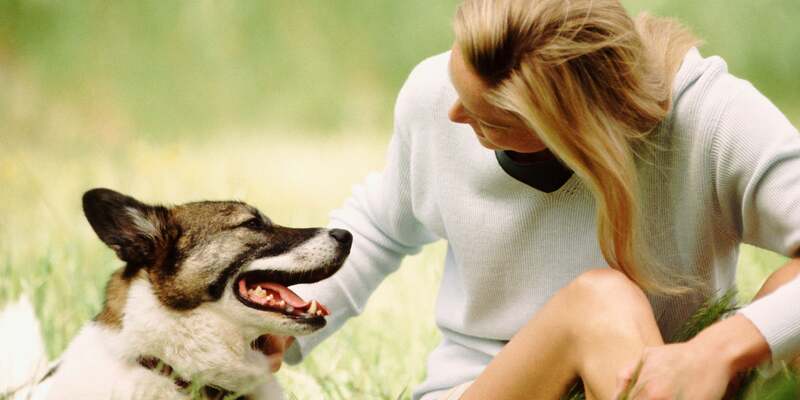 If, however, you are one of those pet owners who face a dire illness or even just a regular injury, then pet insurance is worth the cost, even if only for the peace of mind that if your pet really needed you, you could and would be there to help. Now, let’s go back a bit to the reasons we think pet insurance is totally worth is (and why we created a whole site to educate people about pet insurance). Advancing veterinary care – Now you can do physical therapy, hyperbaric oxygen therapy, stem cell therapy, prescription food, chemotherapy and so much more for your furry friends. Care always stops at the recommendation of the veterinarian or specialist. If they have this many more tools in their arsenal, there are ways to treat your animals that did not exist before, and improve their quality of life in doing so. The caveat – these treatments are expensive. Most people would do or pay anything to save their pet – This was proven true in a recent cancer study in North Carolina. Pet owners paid out of their own pocket to participate in cancer research, sometimes paying upwards of $25,000. People would refinance their homes, drain their savings and much more to be able to find treatments that could save their pets, and yours. Average pet treatment is $5000; can you afford that? It is not just the one-time catastrophic expenses, but the insidious, chronic illnesses that often break most pet owners due to cost. Yes, pet insurance costs money each month, but so does chronic illness, and without insurance, the costs can really go up and down. At least with pet insurance, you know what costs to expect each month and year. Doing away with “economic euthanasia” – not being able to afford the treatment your pet needs is heartbreaking, and with pet insurance, does not have to be a reality. Read the fine print, know what type of breed you have and what to expect, and the harsh realities of not being able to afford their care don’t have to be true for you. So, have we convinced you yet? Obviously, we are fans of pet insurance, and that is why we created this site. Read reviews and all about the different policies here, and then your decision at the end should be, rather than, “should I get pet insurance?” it should be, “which policy do I sign up for?” Don’t delay!